Bryan Christiansen is the founder and CEO at Limble CMMS, a modern, easy to use mobile CMMS software. Most of the strategic decisions businesses make in the 21st century use large data sets and real-time data to make money. 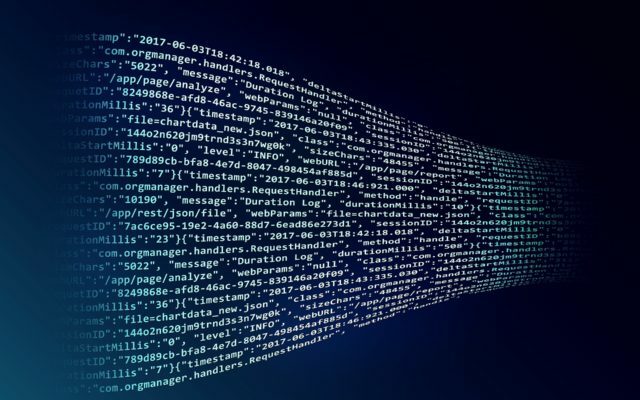 Businesses of any size now need data to run their operations as the entire trade and industry environment evolves toward a knowledge-based economy. This course of development requires organizations to have the right data at the right time to make viable decisions. Even the most experienced decision maker relies on some input data to take the right decisions while data pours in such amounts that processing and managing it can be a real headache. More than ever, businesses need clean, consistent and ever-connected sets of data to perform effectively their activities, penetrate new markets and identify business opportunities and leads. Any business can use real-time data, Big Data and data analytics to their advantage, but there are still challenges ahead, mostly related to data management, proper analysis of data and “normalization” of the rough data you collect. The main problem with getting the accurate data lies with the inconsistency of corporate databases and applications that deal with data and data processing. When you have your information collected and stored across various departments and systems, you usually end up having incomplete, incorrect and inconsistent information. Many companies still have siloed systems where departments or data systems are not interconnected. What it means is that quite often you update the info in one system but the update is not reflected in other systems required to make proper decisions. For example, you might have an old maintenance software and an ERP system. If that is the case, you want those two systems to be able to exchange information to have an accurate representation of what your maintenance department needs. Identify all data sources of data and also find who is using what data across the company. Then, clean up the data at the source and only then connect it to other data processing and data storage systems. Implement a data management and data integration platform that collects, reconciles, manages and connects different data sets on top of your other enterprise software. Create data standards and processes to collect accurate, clean data. Now, you can use that clean data to make informed business decisions based on accurate information. While this might sound abstract to some, it is still important that their IT team is aware of everything that was just mentioned. We’ve already mentioned that having the right data at the right time is paramount. But how would you like to have, all of the data, at any time? With the advancements in technology and software, organizations are now able to have real-time insights into their business operations. Coming from the maintenance world, I can confirm that the same trend can be seen in maintenance management. A good example of that is the increased adoption of predictive maintenance strategies like predictive maintenance and condition-based maintenance. Both of those maintenance strategies are preconditioned on having predictive monitoring equipment. That means that you first need to install condition monitoring sensors that let you have real-time insight into the current condition of your assets. This lets you schedule maintenance during non-peak times, increase asset lifetime and improve the overall equipment performance; thus, securing uninterrupted data collecting and data analysis processes. Most of the leading and fast-developing businesses across the globe now rely on data to make strategic and operational decisions. 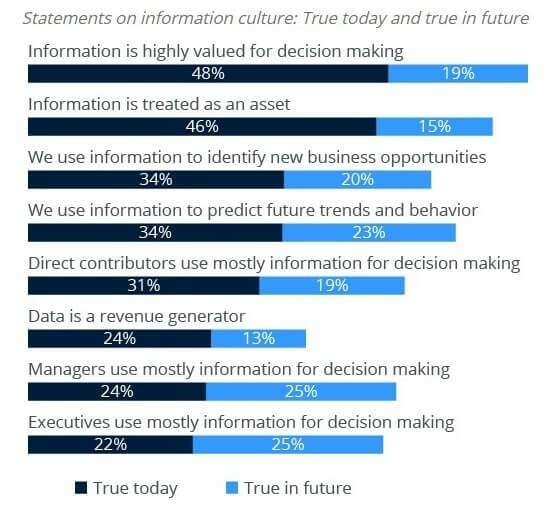 If you are to be successful in today’s business environment, you definitely need to shift from business assumptions to decisions based on data and insights derived from the information you collect. One example is reputation management, which is increasingly important in an online environment where consumers are able to share experiences about a brand in real time and reach out to millions of other people at once. 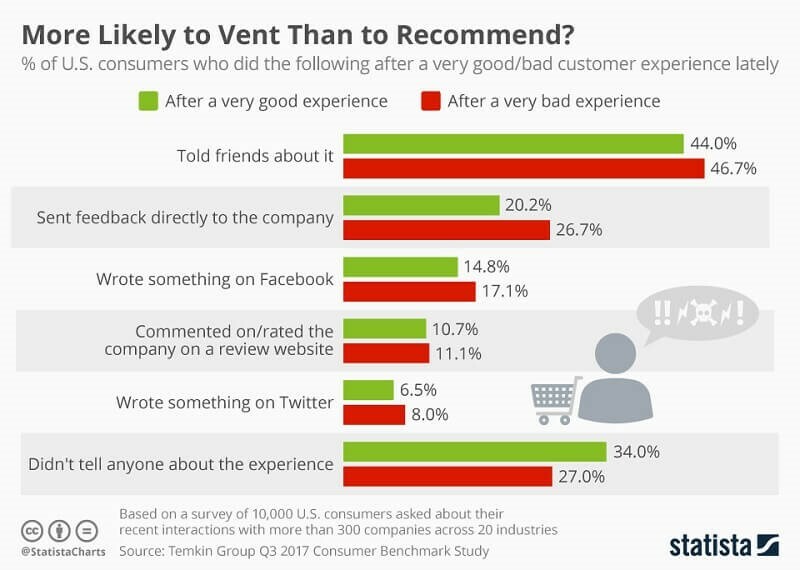 By looking at the above chart, you can find that about 30% of consumers comment online on their good and bad customer experiences. Hence, a brand needs to adopt systems to track comments posted online across a variety of social media channels. This, in turn, requires the adoption of advanced data systems that combine both static databases and dynamic data tracking. The benefits are obvious: you get real-time insights about the customer experience and the level of satisfaction with your product and service. Then, you can act immediately to enhance your service based on clean and reliable data. The same approach works in many other scenarios where you will perform much better if you make decisions based on data, not the usual business acumen. According to numerous industry surveys, data-driven companies have greater insights about the entire customer journey, which enables them to identify new and missed opportunities, better serving their customers in the process. On the other hand, you should determine what data and in what time is actually valuable and actionable because information is as usable as the insight you can get from it. Hence, you should take advantage mostly of data and metrics that provide insights about areas, which are most critical to your business growth. Overwhelming amount of collected data can lead you to a dead end, as there will be contradicting insights that prevent you from taking the right decisions. That said, you should verify whether the data is really representative and whether your data-based assumptions will still be valid under another set of results. Furthermore, different analytical approaches might produce different results; hence, you must be sure you have adopted the right method to the right data. Also, take advantage of business intelligence tools that can analyze complex data sets and then generate insights from that diverse information. Connect these business intelligence systems to a platform that normalizes rough data to get the most out of your data analytics and predictive software. Clean data is the main source of actionable insights forward-thinking companies are using to identify business opportunities and enhance the customer journey. Data-driven decision making is becoming a standard approach in a business environment where the intuitive business practices of yesterday are becoming archaic. There are still situations where you need to trust your business instinct and even make emotional business decisions but the most successful companies rely on data to get deeper insights when making strategic moves. To get the most out of your data, both from static databases and real-time data analytics, you will need to get the right data in the right time, clean it up, and then process and analyze the information using an advanced business intelligence tool. Only then you will be able to gain the maximum possible value from data-driven decisions. The Leadership Team is the Company Culture … or is it?